Confession: I love growing, re-growing and sprouting all types of plants, veggies and fruits. It makes me so happy to witness new life blossoming before my eyes. 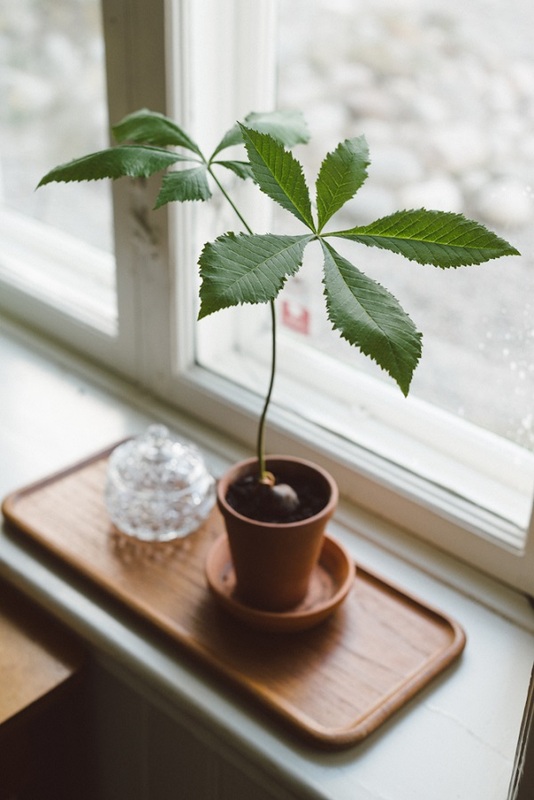 Since my avocado and pineapple trees are growing beautifully and I have tons of new found urban gardening confidence, I’m thinking about trying to grow an actual tree out of a chestnut. Nathalie and Matilda did it and it looks so beautiful, doesn’t it? Here are the step-by-step instructions. Will you try it too? P.S: You can also sprout an acorn or those delicious greens.